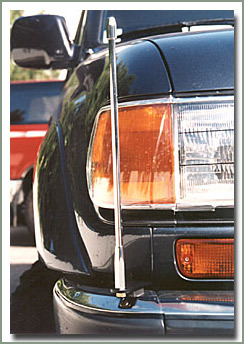 Corner pole clamps to stock bumper without drilling. Pole shows driver where the front bumper corner is. Great for tight parking situations.